This version of the Replicant features a few noteworthy changes. For this run, BRS changed it up on us by doing an alternate blade shape. The BRS Replicant is designed by and for flippers, and it is as devout to the sport as you are. 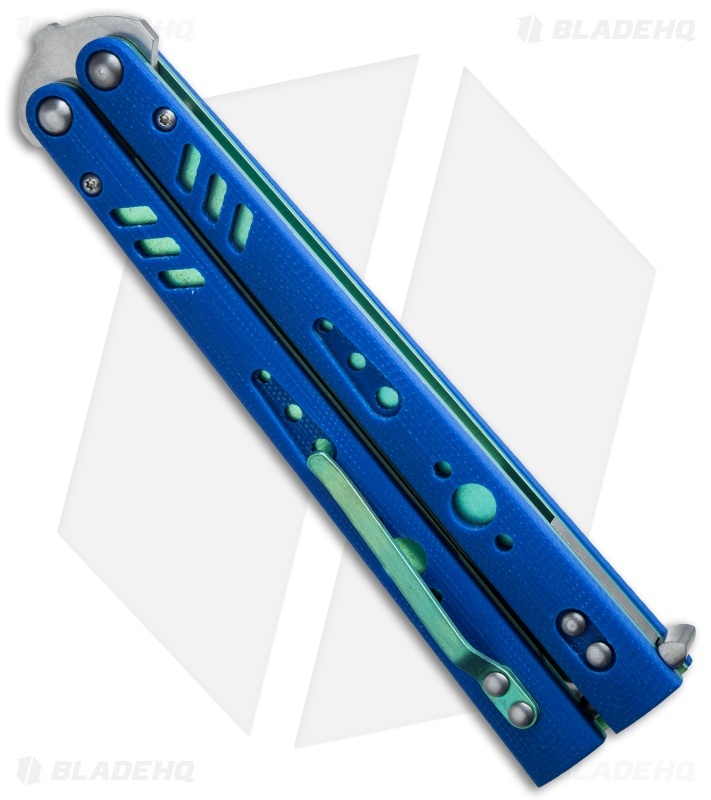 Featuring green anodized titanium liners with machined blue G-10 scales and a Scorpion Tip Tanto blade, the Replicant is a truly refined tool. Don't confuse the Replicant with other run-of the-mill balisongs on the market. Much like its predecessor the Alpha Beast, the Replicant has been bioengineered for superior agility, dynamics and performance. The knife I miss the most! This knife was amazing all around! Fit and finish were great on my batch! Colors were consistent! Not to mention it flipped absolutely perfectly!!! Good Steel, good carry options, great flipping action, love it all. 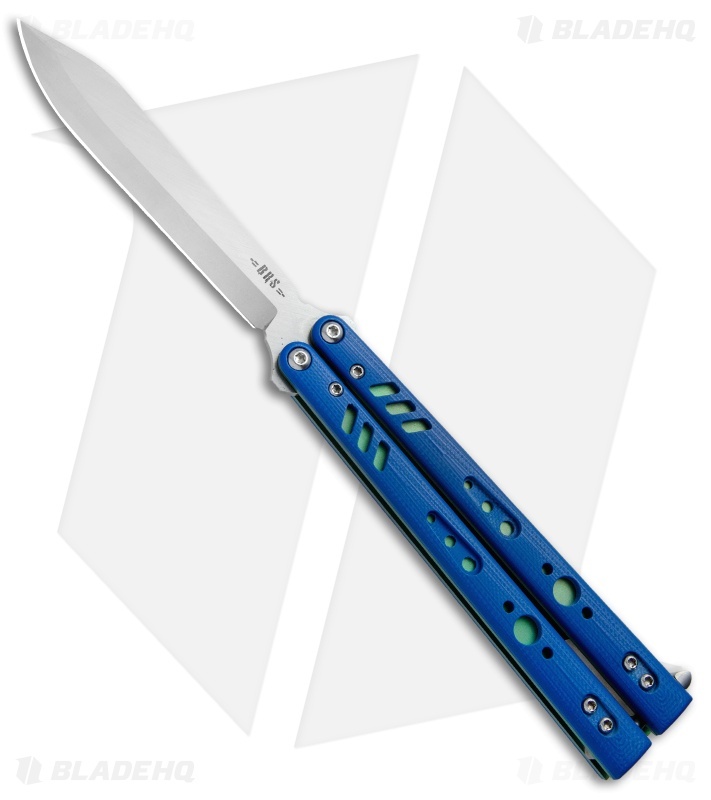 If you have a chance to get an alt blue premium replicant do it immediately.